The Holy Knives is the sonic vision of brothers Kyle and Kody Valentine a band that infuses the sultry sounds of rock & roll with a tinge of desert psychedelia. 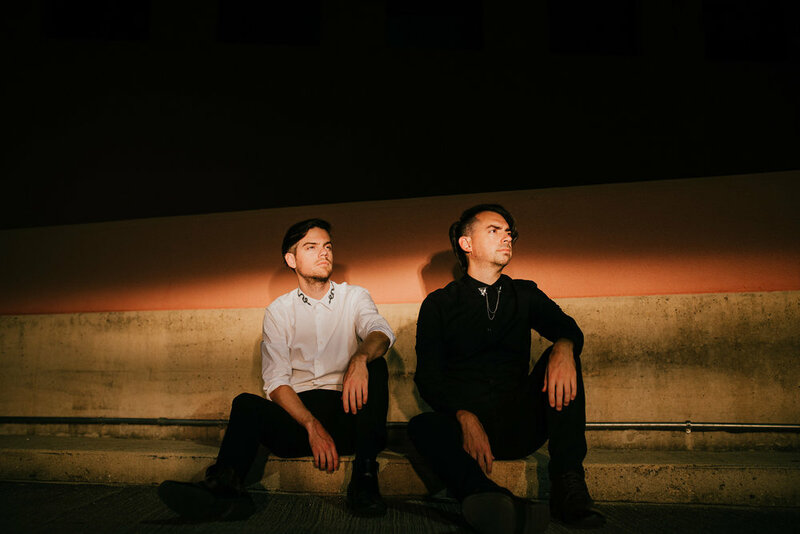 Born and raised in New Orleans residing in San Antonio The Holy Knives released their debut EP Ritual Bloom last spring performing at SXSW before touring across the United States. In between they travelled to Sonic Ranch studios in the deserts of West Texas recording what would become their debut full-length album Year of the Black Dog. The Holy Knives took their name from a combination of two of their favorite works of art the film “The Holy Mountain” by Alejandro Jodorowsky and the poetry book The Singing Knives by Frank Stanford. Both of these works while of different mediums conjure a flood of beautiful thought-provoking imagery as well as share a fearlessness and a quest for truth through the irrational that The Holy Knives strives to capture in their music. Drawing musical inspiration from acts such as Timber Timbre Arctic Monkeys Beach House and Portishead The Holy Knives’ could be imagined performing at the Bang Bang Bar from Twin Peaks or playing in a True Detective episode.